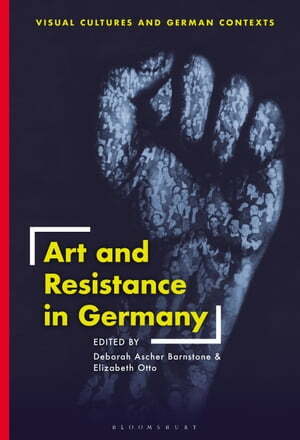 Collins Booksellers - Art and Resistance in Germany by Deborah Ascher Barnstone & Elizabeth Otto, 9781501344879. Buy this book online. In light of the recent rise of right-wing populism in numerous political contexts and in the face of resurgent nationalism, racism, misogyny, homophobia, and demagoguery, this book investigates how historical and contemporary cultural producers have sought to resist, confront, confound, mock, or call out situations of political oppression in Germany, a country which has seen a dramatic range of political extremes during the past century. While the current turn to nationalist populism is global, it is perhaps most disturbing in Germany, given its history with its stormy first democracy in the interwar Weimar Republic; its infamous National Socialist (Nazi) period of the 1930s and 1940s; and its split Cold-War existence, with Marxist-Leninist Totalitarianism in the German Democratic Republic and the Federal Republic of Germany's barely-hidden ties to the Nazi past. Equally important, Germans have long considered art and culture critical to constructions of national identity, which meant that they were frequently implicated in political action. This book therefore examines a range of work by artists from the early twentieth century to the present, work created in an array of contexts and media that demonstrates a wide range of possible resistance.